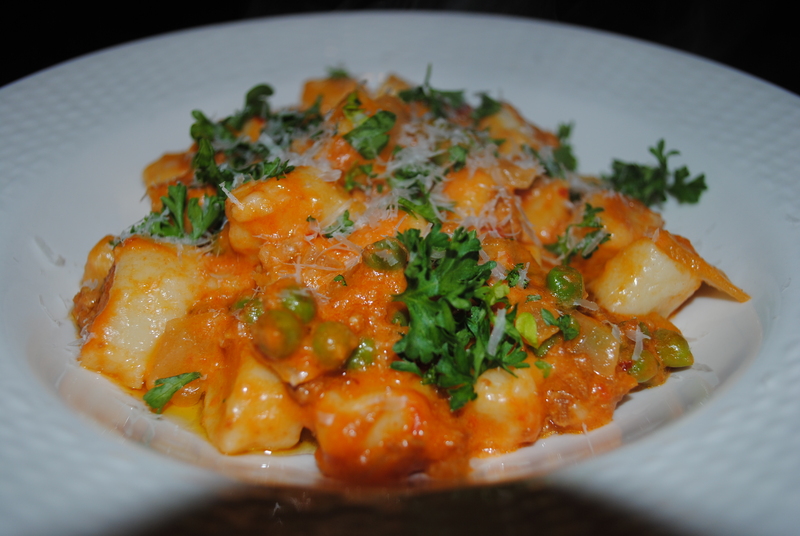 Handmade Potato Gnocchi are simple and so delicious! 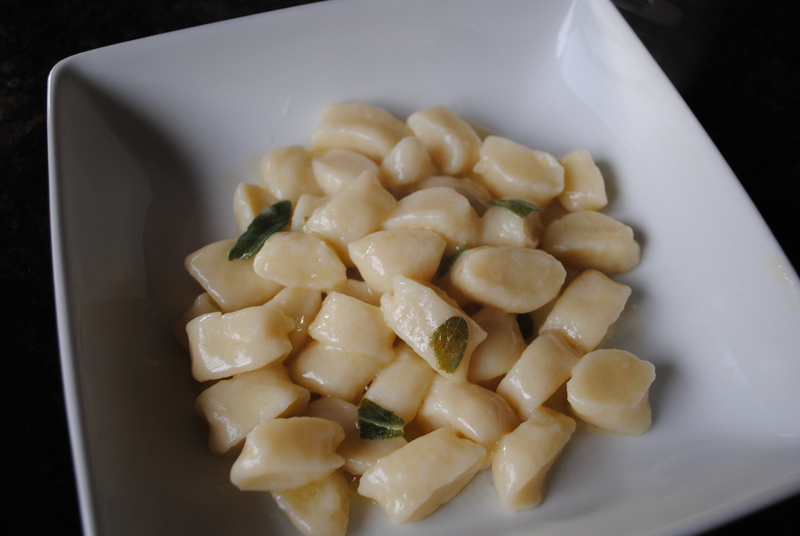 Gnocchi are basically a dumpling and the most common is made out of potato. 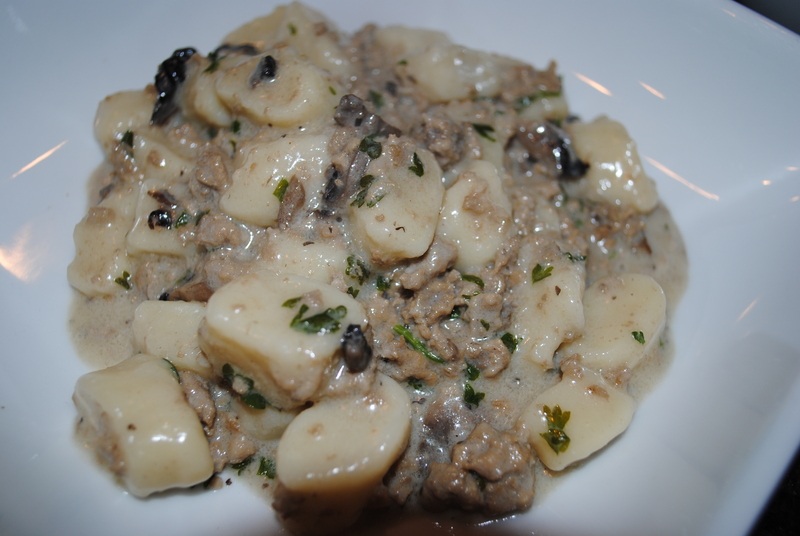 Here, it is dressed with a Butter & Fresh Sage Sauce. 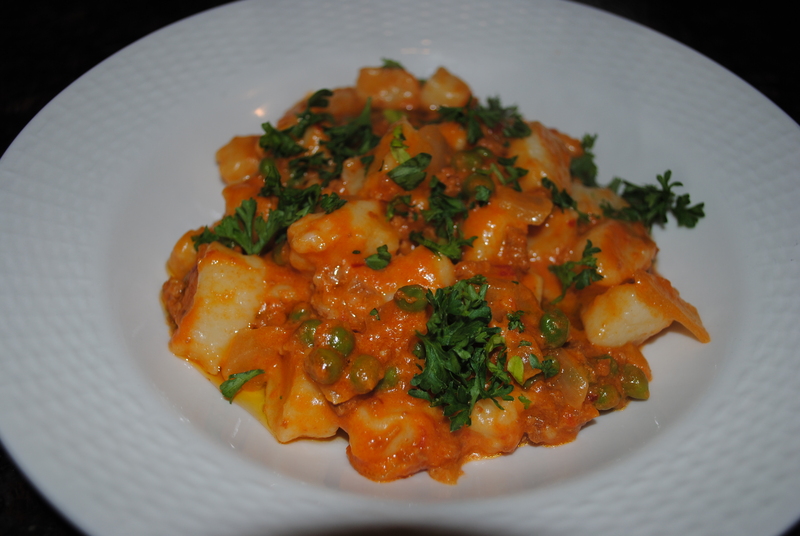 On this plate we have used the Handmade Potato Gnocchi with our Bolognese Sauce (Pork Ragu), then we added Peas & Cream.